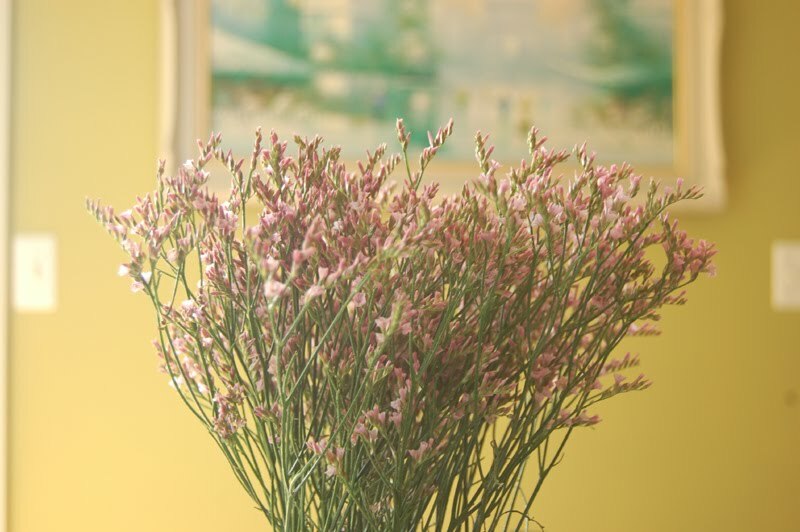 I picked up these flowers to use for Mother's day brunch on Sunday, I'm hoping they will bloom a little more! Unless I make the trip all the way to Trader Joe's, the selection at our grocery store here is so sparse - it was either these or just a few carnations. 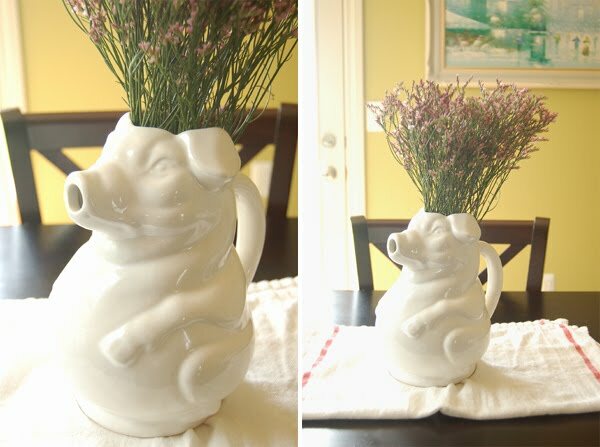 For now they're hanging out in this funny pig pitcher from our wedding, but maybe I'll trim them up to use as place settings. Hope you have a great weekend! Your vase is totally adorbs!! i love those flowers - so fresh and spring-like with just a hint of the wild. I think I love the flowers just like they are. They look so sweet in your pig pitcher! Ummm, that pig pitcher is incredible. Also, those flowers might be "pink super ladies." (for real, that's the name!) I can't tell unless I'm up close and personal, but from squinting at my computer monitor, I think they are. that pitcher is hilarious! ha! so cute. as for the flowers, I think they look lovely! simple and perfect. have a wonderful weekend! the pig does it again!! the flowers are lovely :-) and even lovelier in that funny pig vase!